When you look at Utopia Planitia, there’s a lot of weird stuff going on. For those that aren’t intimately familiar with martian geography, Utopia Planitia is a huge, ~3300 km diameter basin that formed by impact early in Mars’ history. It makes up part of what’s known as the northern plains, the more-or-less flat terrain north of the martian dichotomy boundary. For as long as we’ve had good imagery from the region, we’ve noticed interesting features on the surface—features like polygonal cracked terrain and oddly-shaped, rimless pits called “scalloped depressions”. When we see features like this on Earth, they’re associated with subsurface ice or permafrost. 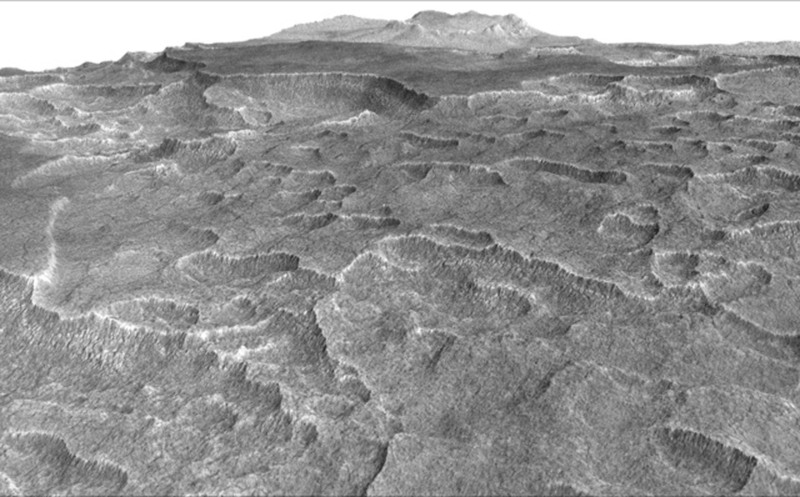 These features led scientists to believe that this is an ice-rich region of Mars, and inspired my team to examine radar sounding data from the area.